"Caite Hevner Kemp's set is magnificent in design and execution. The warm wood, detailed Mission staircase, and post-and-beam architecture root the entire play in a tangible place. All the contrasts Norris invokes begin with the notion of home as a refuge, a source of identity and a crucial investment. 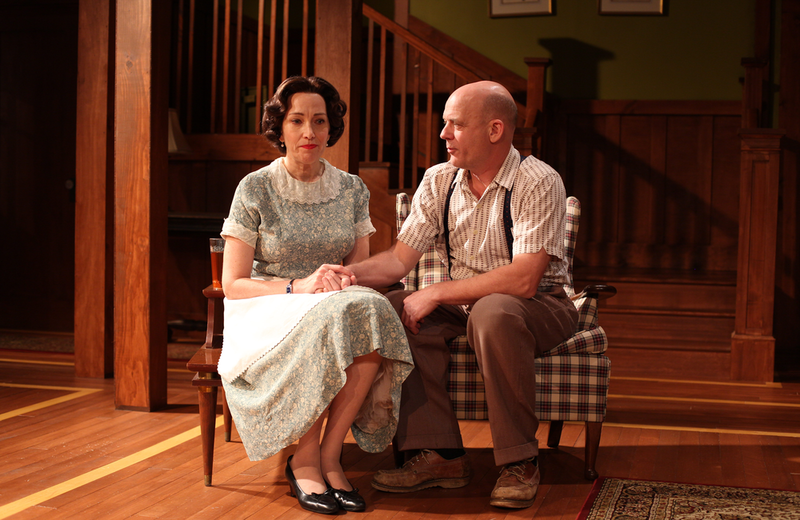 Kemp's set, showing two stages in that house's life, visually brings the play's themes to life."